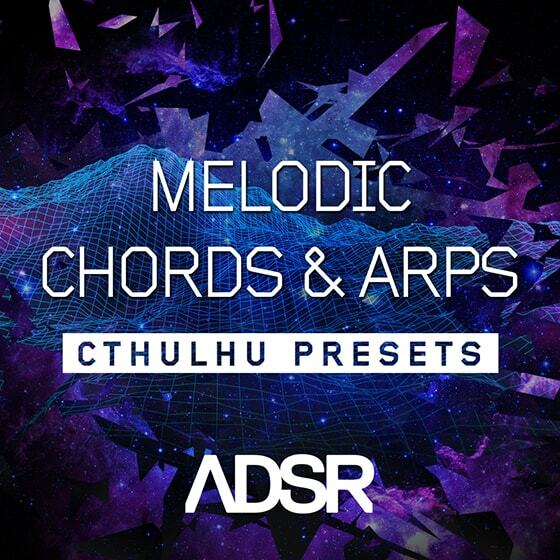 The ADSR production team is back with another follow-up to their popular Cthulhu Presets series. Although many labels have tried to imitate this series, nobody does it quite like ADSR. Airwaves Artist Chords & Melodies is the latest iteration of this insanely popular series from ADSR with a new twist. Imagine being being able to play the chord progressions from some of the most popular songs from the biggest artists in electronic music..
No need to frustrate yourself trying to figure out the chord progressions from your favorite songs as they are all laid out in a left to right order for easy triggering. Airwaves allows you to learn and understand the chord progressions used in some of the biggest electronic hits on the radio. All presets have been sorted in multiple folders categorized by each artist. Within each artist folder are 4-5 song titled presets that contain the chord progressions of that title. If your a DJ or producer creating remixes, bootlegs, re-works, these presets will easily allow you to re-create the chord structures using your own synth sounds. If you are writing new tracks and are stuck, simply load up a preset within the same key of your song and trigger the progressions in a different order to come up with an entirely new chord structure. Since these are chord presets, you can apply them to pretty much any style of music such as , R&B, Deep House, Future House, EDM, Trap and Future Bass. You already know these chord structures work well for top Billboard charting tracks, why not apply that magic to your own music.